Cruise on the Irrawaddy river in style aboard the luxurious Sanctuary Ananda. 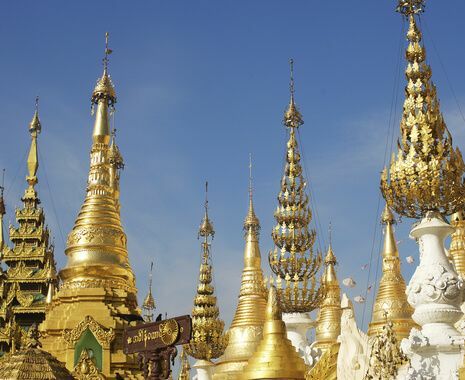 The journey begins with a visit to Rangoon (Yangon), home to the magnificent Shwedagon pagoda. 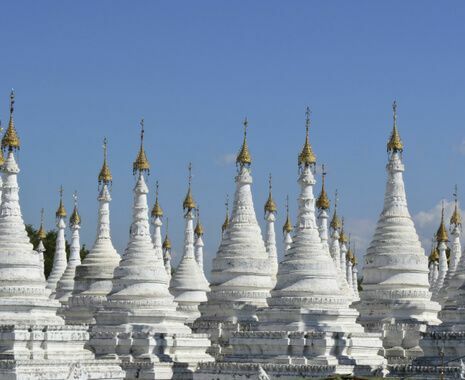 Fly to Mandalay and tour some of the major temples and pagodas before embarking on a 7-night cruise. Visit local markets, riverside villages, and the convents, pagodas and monasteries of Sagaing hill. 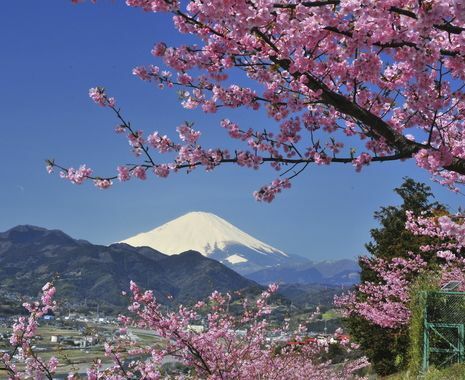 Enjoy private dinners and sunset drinks during your cruise, with expert guides on hand to inform you about this fascinating country. The transfers and excursions relevant to the cruise are operated as a group with other passengers who may or may not be Cox & Kings clients. Cox & Kings is acting as an agent on behalf of Sanctuary Cruises and its cancellation conditions will apply. In addition to this 7-night cruise, Sanctuary Cruises also operates a range of 3-, 4-, 7- and 11-night cruises on the Irrawaddy river. 10-night cruises are also available on the less-explored Chindwin river, which visits many tribal villages to learn about local people, traditions and customs. Sanctuary also operate a luxury 3-night cruise on the Yangtze river in China, as featured on China: The Grand Tour.